Water testing by the Region of York will begin at Town of Georgina beaches in June as the water needs to be at least 15 Degrees Celsius. Also, boat barrels and buoy lines will be placed when the water is the appropriate temperature. Resident parking passes are valid from January to December and must be displayed while parked in areas where required by signage. One or more vehicle registration(s) bearing the Georgina address or matching the proof of identity of the Georgina Tax Bill or Georgina Tenant Lease. *Tenant proof of residency must clearly indicate a tenant address or a copy of the lease/rental agreement must be supplied matching the proof of identity. De La Salle Park Office (during operating hours). Provisions are made for Residents in possession of an Accessible Parking Permit to be issued a Resident Parking Pass to be used in multiple vehicles in order to accommodate accessible needs. Motorcycles are exempt from displaying a Resident Parking Pass as there is no place to properly display Resident Parking Pass. A dispute as a result of the issuance of a Resident Parking Pass at an outside facility should be directed to the Recreation and Culture Department. If necessary, a temporary Resident Parking Pass may be issued at an outside facility indicating an expiry date of the next business day where a dispute cannot be resolved when the Recreation and Culture Department is closed. The Resident Parking Pass is only valid if the front side of the pass and license plate number is clearly visible from the rear view mirror or front dashboard. Any disputes regarding a Municipal Law Enforcement issued parking ticket must be directed to the Municipal Law Enforcement Division. No special request/special consideration parking passes will be issued and no exceptions will be made for special events, non-profit organizations, trailer parks, camps or other. 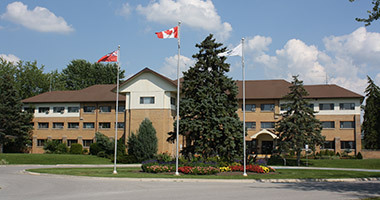 The Town of Georgina assumes no responsibility whatsoever for the safe custody of the vehicle parked nor for any property left with same nor for any lost or theft or damage to such vehicle or property, howsoever and by whomsoever caused, the same being left in all respects at the risk of the owner. Lock your car. For more information, email Recreation & Culture or call 905-476-4301 Ext. 2354.